Investing in real estate can be a great way to make money. One type of property investment to consider is flipping a house. Achieving success using this method is usually a combination of skill, thorough analysis, and research, although a few do achieve success by dumb luck. Regardless of the property type you choose, there are several positives and negatives to consider when preparing for your first successful house flip. Project success requires certain things you can control, such as skill, thorough analysis, and research. Any type of property can be flipped. Can hire people that can increase the probability of a successful flip, including an experienced realtor, contractor, and designer. Might lose money if you don't consider all costs, including renovation, holding, and selling costs. May have to pay capital gains tax on the sale. Can over-improve a property if you're not familiar enough with the neighborhood. What Does It Mean to Flip a House? Flipping a house means that you are buying a house with the intent of selling it, usually quickly, for a profit. It is not a long-term buy and hold strategy. Selling the property for more than you bought it for does not necessarily mean you will make a profit. For example, you buy a house for $200,000 and put in $50,000 worth of renovations. 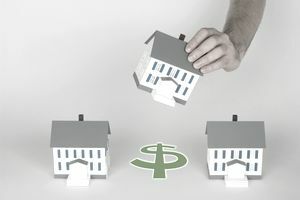 If you sell the house for $240,000, which is more than you bought it for, you will actually lose money when you factor in the renovation costs, as well as additional costs to hold the property and sell the property. What Type of Property Can Be Flipped? Multi-family homes: Flipping opportunities include renovating the existing units or adding additional units to make the property more valuable to prospective buyers. Mixed-used property: This could involve renovations or additions made to the retail space, residential space or both. Retail property: Renovating the space to suit a specific need, such as restaurant, salon or general store. Land: Going through the zoning process to get it approved for a specific use, such as residential or retail. Getting zoning approvals can be a lengthy process depending on how quick and easy the building department in the town is to work with. You make your money on the purchase. It doesn’t matter how well you renovate the home in the end if you put too much money in from the very beginning, it will be that much harder to make a profit. You are trying to determine how much you can afford to purchase the property for in order to make a profit. Therefore, you need to work backward. The first thing you need to do is determine the after repair value of the property. This is what you believe the home will be worth after you have completed all renovations on the property. Square footage: Two homes can have the same number of beds and baths, but one could be 1,000 square feet larger. Quality of renovations: Look at the materials used in the renovation. Is this what the current buyer is looking for? Location: Some areas of town will be better than others: better school district, quieter street. Lot size: Larger lots will be more valuable. Amenities: Does the home have central air conditioning, an in-ground pool, a finished basement or a master suite? Once you have looked at the comparable properties, you should be able to come up with a range of what the home will be worth once you have completed your renovations. This is the After Repair Value. In order to buy the property at the right price, you need to determine how much money you believe you will spend on the home. Closing costs on purchase: This includes title insurance, home inspections, attorney’s fees, surveys, bank fees, recording fees: deed and mortgage. Construction costs: Permits from the town, material costs, cost of labor. Holding costs: Insurance payments, taxes, payment on any loans, possible utility costs. Closing costs on sale: Attorney’s fees, possibly realty transfer tax, Realtor commission, recording fees: deed and mortgage, town inspection fees: possible Certificate of Occupancy (CO), if the town requires it, buyer credits: the buyer’s home inspector will find things wrong with the property, so the buyer will likely request a credit from you to fix these things. You are likely not going through all the work and risk of flipping a home to make $5,000. Therefore, you must determine your ideal profit goal from the flip. When all is said and done would you like to make $20,000? $50,000? $100,000? Knowing how much you want to make will help you determine the price at which you can afford to buy the home. You should also be aware that you may have to pay a capital gains tax on any profit you make. Depending on your income bracket, you may have to pay nothing or may have to pay as much as 20 percent of your profit to Uncle Sam. You may be able to defer this cost by doing a 1031 Exchange. Now that you have determined an After Repair Value for the property, the approximate costs associated with renovating the property and how much money you want to make, you can determine the maximum amount you are willing to pay for the property. This is the point where you make your offer and hope it is accepted. You have gone through a lot of work to arrive at this number, so don’t be swayed by realtors telling you if you increase your offer price, the property is yours. Every extra dollar that you pay for the property is a dollar of potential profit that you are losing. Remember, you're your money on the purchase. Increase in Interest Rates: When interest rates are high, people cannot afford to spend as much on a home. It decreases their buying power because their monthly mortgage payment will be higher. As interest rates rise, home prices will come down to adjust for this decrease in buying power. Change of Season: The home buying season peaks in the summer months when children are off from school. Families want to move before the new school year begins. If you are not able to have your flip on the market for the early Spring/Summer rush, you can end up costing yourself a lot of money. Increases in Inventory: Another factor that can affect the value of your home is excess inventory in the area. One reason this could happen would be if a large company in town shuts down, and people begin putting their homes on their market so they can relocate. There are only so many buyers for a 3 bedroom, 2 bathroom $250,000 ranch home. If there are five on the market, you may have to reduce your price to get it sold quickly. Foreclosures or Short Sales in the Area: Unfortunately, you cannot control your neighbors. Short sales and foreclosures in the area will bring down the value of your home. Natural Disaster: You also cannot control Mother Nature. Hurricanes, tornadoes, and wildfires can devastate areas, leaving home prices equally in shambles. Lower School Ratings: If the school system rating goes down, the neighborhood will become less desirable to potential buyers. Sluggish Economy: When the economy collapses, so do home prices. Fewer people are able to buy homes, and those that do are looking to spend less. Environmental Issues/Power Lines: Elevated levels of radon or other chemicals in the soil, power lines being constructed in the backyard or a pipeline running through the town will make it harder to sell your home for top dollar. Successful property flips are done quickly and done for the right price. Hiring the wrong contractor, designer or realtor can quickly turn a flip into a flop. Ideally, you will have a team of trusted individuals in place before you close on the property so you do not waste time. If you are going to hire a designer for your renovation, you need to make sure he or she is familiar with the area. The last thing you want to do is over-improve. Not every home needs Calcutta marble and Brazilian hardwood floors. You can make great money with a great floor plan and clean design. Kitchens and baths do sell homes, but most buyers will not know the difference between a $400 faucet and a $40 one. Knowing the market will also help determine what kind of buyer is looking in this area. Does the area attract a lot of singles, newlyweds, young families with small children, established families or empty nesters? This will help determine the best approach to renovating. Should you add another bedroom? Focus on a family room for the kids? Is a master suite going to be the main draw? This includes electricians, plumbers, siders, roofers, HVAC contractors, painters, pavers and anyone else you may need. You want to get multiple bids so that you get the best price, but you also want to check credentials because the best price is not always the best quality work. You may think you got a great price in the beginning but will wind up spending more time and money trying to fix a contractor’s shoddy work. Make sure the contractor understands the necessary permits that have to be taken out with the town for the renovations that are to be done. How long does the town take to process permits? Are there any zoning issues that must be approved? Permit issues with the town can hold up jobs for months and quickly diminish any potential profit. Contractors are also notorious for “underestimating” how long a job will take. Make sure you have a set deadline with the contractor for the work to be completed. You should also include a contingency fund in your budget for these jobs that are not completed on time. Will you sell with a realtor or attempt to sell the property yourself? If you sell with a realtor, remember to factor in their commission at the sale. When choosing a realtor, you must make sure they know the market where you are trying to sell the home. Even if you have worked with the Realtor in the past, they may not be the best fit for that particular market. In addition, many realtors are simply interested in making a quick sale and not necessarily selling the home for top dollar. Make sure you have done your own research and that you feel comfortable with the number the realtor feels you can get for the home. You want a quick sale, but you also do not want to leave too much money on the table.